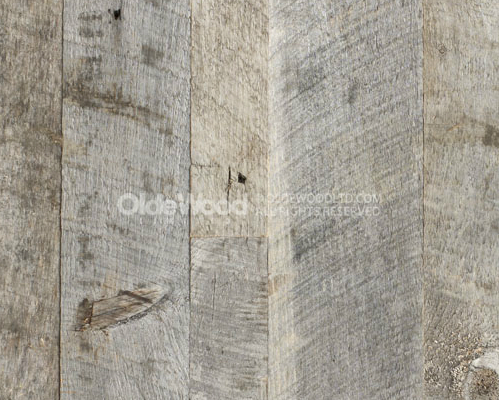 Gorgeous lines of Antique Barn Siding perfect for walls or ceilings. Add character to your next renovation or building project. Old barn siding is a creative material for a variety of projects, from paneling a timber-frame home to custom-built barn wood furniture. The possibilities are limited only by your imagination. 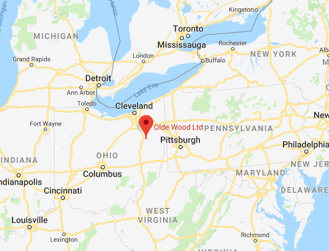 Olde Wood barn siding is available in a wide range of colors and textures to compliment any project you may have. A barn wood accent wall adds a touch of rustic charm to any room. 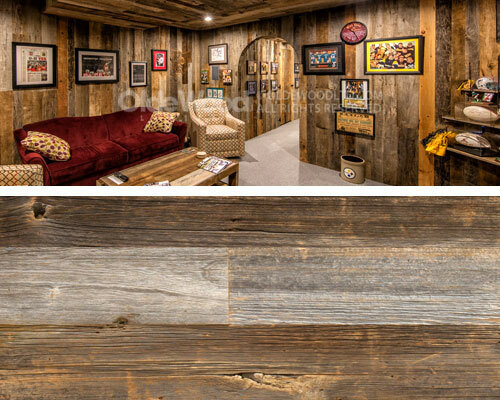 Our antique milled barn wood wall panels make it easy to capture the American pioneer spirit. 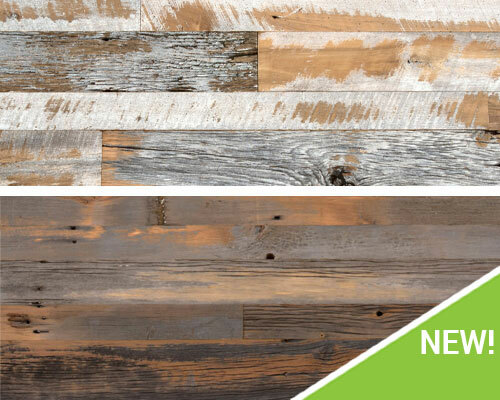 For a distressed look, consider our original barn siding lines or our new Distressed Collection. For a less weathered look, go with our interior barn siding -- milled to highlight the side of the board that was sheltered from the elements. Whatever your style, a barn siding will call to mind a simpler time. 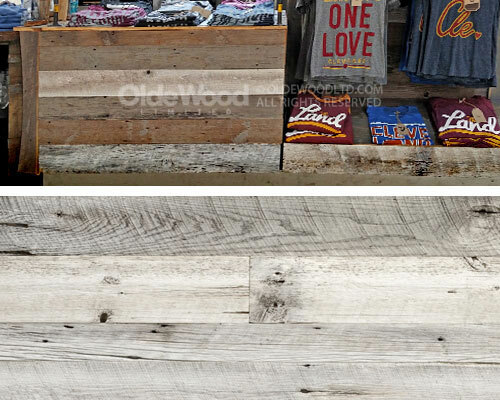 Many inspired interior designers use Olde Wood's reclaimed barn siding for ceilings. Each plank is a true original, and your ceiling will be a centerpiece of conversation for years to come. The creative potential of antique barn siding is endless. Replace cliché peg board in your workshop with vintage barn wood walls. Build a custom barn wood bar evocative of a frontier saloon. Frame your fireplace with weathered barn boards. Feel the texture of the grain beneath your fingertips and let your next barn wood siding project speak to you.